In a massive win over one of the league’s hottest teams, Ottawa Fury FC midfielder Sinisa Ubiparipovic played a starring role, tallying a goal and an assist to earn NASL Player of the Week honors. 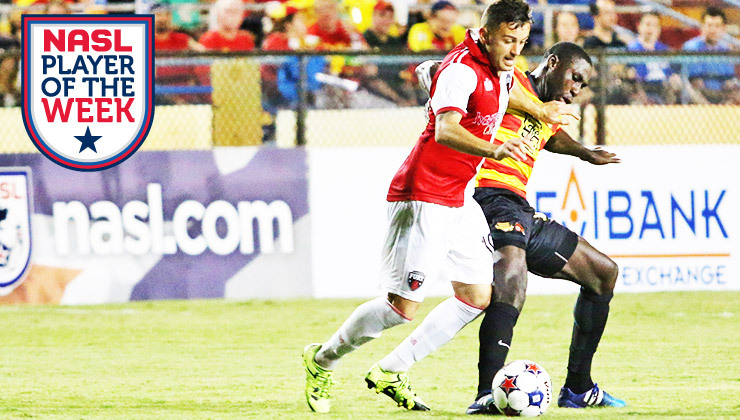 The veteran midfielder set up forward Aly Hassan’s opening strike at Lockhart Stadium on Saturday night before firing home a goal of his own to help seal a 2-0 win over the Fort Lauderdale Strikers, who entered the encounter on a six-game unbeaten streak. Ubiparipovic, 32, turned in one of his strongest performances of the season when Fury FC needed it most. Saturday’s win in Fort Lauderdale, which kept Ottawa atop the Fall Season Standings, was the first of three road games in seven days for the club. Not only did the victory keep Fury FC squarely in position for a postseason spot – it also knocked the Strikers, one of the teams chasing Ottawa, back a peg in The Championship Race. A former standout at the University of Akron – a school that has produced so many top players in recent years – Ubiparipovic started his professional career with the New York Red Bulls. After four seasons in New York, he moved to the Montreal Impact, with whom he would compete in the NASL’s inaugural season. Ubiparipovic left Montreal in 2013, but not before a brief loan stint with Minnesota United. The 5-foot-10 midfielder signed with Ottawa prior to its inaugural campaign in 2014. Ubiparipovic and Fury FC have a busy week ahead. The Canadian side visits the Spring Season Champion New York Cosmos at 7:30 p.m. ET on Tuesday before traveling to Cary, N.C. to take on the Carolina RailHawks on Saturday at 7:30 p.m. ET. 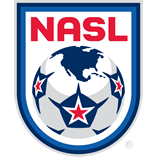 Tuesday’s match in New York can be seen live on ONE World Sports in the U.S. and OttawaFuryFC.com in Canada.